Took a screen shot on 2nd vid at 1:52. Looks like 2 rectangles set into the side of the hill? With one circular edge on each? A residence or building just below the rectangles? This is one of four pictures of the craft. My Avatar is one of them. Look at the panels in this one here. That is what I seen inside the ship for a wall. But outside it looked like my Avatar. This guy was a photographer and had the best camera one could buy at the time. He also did not want anyone to know who he was so he gave it to a friend who was a Naval Scientist .. He released it. He even talked to the witness who lived in this house in my photo. There were several people there who witnessed it. I looked up all the info I could fine as when I seen my Avatar photo and this one I was in total shock. Yes it is too good to be true . that does not mean there is not photos out there like this. What I seen was too good to be true also. How would you like to see this and not have anyone believe you. 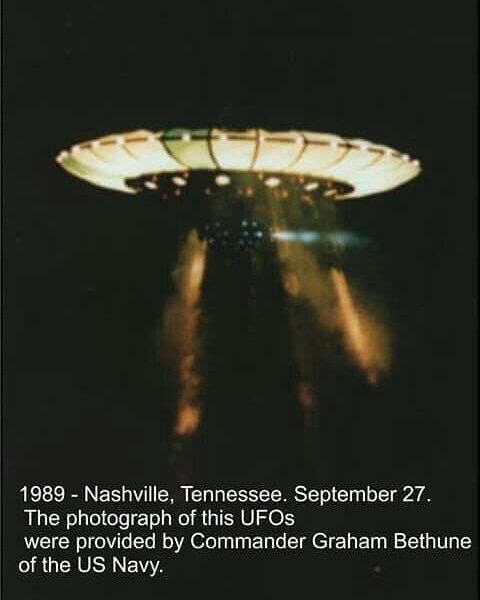 So I know why people thinks this is no a true ufo. On duckduck, the pictures posted by Aunty, do not show up on here (including peanuts ). Maybe it’s just my phone ? Maybe your phone is formatted for google? I dunno. Maybe professor plutronus will know. there may be a slight rash of post delete-is going around. There is life beyond TEOR right? If there is I'm sure somebody someday will discover it. Bizarre footage of a floating object captured during a wild thunderstorm has WA police officers asking the question – are we alone? After reviewing vision of the storm, which erupted over Broome’s Town Beach on Saturday night, police officers couldn’t help but notice a rather unusual sight. Bolts of lightning can be seen crashing down before a strange shadow appears in the corner of the screen. The ‘UFO’ can be seen hovering before floating back and forth momentarily. The footage – which has been seen more than 30,000 times – had many social media users scratching their heads, as the theories inevitably came rolling in. “It’s a damn alien, but not sure if it’s area 51 replica vehicle or intergalactic vehicle. Insane footage,” one Twitter user commented. “Ok I’m not sleeping tonight,” another wrote. While some people joked that police have no other choice but to refer this one over to the X-Files team of Mulder and Scully, others had a more logical answer. “It is an optical artifact caused by the internal reflection of light inside the glass elements of the lens. It is caused by the car reversing in the bottom right corner. It mirrors its movements exactly,” another wrote. The lakes are an inexhaustible source of myths and legends, who has not heard at least about the monster of Loch Ness ? At the border of the United States with Canada there is a place called ‘The Great Lakes’, this site consists of a group of five lakes. They are the largest group of freshwater lakes in the world; They are also considered closed seas. These lakes are so large that their surface equals the entire United Kingdom, and they contain 21 percent of the world’s fresh water. The Great Lakes began to form at the end of the last glaciation about 10 thousand years ago, since when the ice sheets melted they carved basins in the land and these were filled with melt water. This place is considered the ‘Triangle of Bermuda‘ of the North of the United States. In this enigmatic site there have been disappearances of ships, people and planes since 1891, when a schooner named Thomas Hume and his crew vanished. But the most recent mystery occurred on the night of June 23, 1950, when Flight 2501 of Northwest Orient Airlines disappeared without a trace with the 55 passengers and three crew members over Lake Michigan. A father and son were driving near Toledo, Ohio, along the shore of Lake Erie, last Christmas, when they saw a huge object floating above the surface. They stopped and the father decided to record it on video. At first it looks like a cloud, but if you look more closely you can see how the object is symmetrical, showing a shape similar to a classic ‘flying saucer’. Incredibly the UFO is floating well above the surface, about 6 meters, and there seems to be a glitter or some kind of alteration in the water or in the lower ice. The experts in the matter affirm that in fact it is an ‘osni’, unidentified submarine. These objects share common elements with UFOs, although they usually appear in the water or in and out. The most skeptical claim that it may be a submarine, but it is clear that this object is on the water. This has led some to suggest supernatural theories, such as the possibility that it is some ghost ship of the many that have disappeared in this place.